The BRIT Awards rolled around once more and with it another exciting line up for War Child BRITs Week, together with O2. The series of gigs give fans the opportunity to see the biggest names in music in intimate venues across London each year – all whilst raising money to support children whose lives have been devastated by war. The incredible 2017 line-up included Tinie Tempah, Rag’n’Bone Man, Richard Hawley, The 1975, Basement Jaxx and Craig David. We invited celebrities to attend selected gigs and asked the lovely folk at Getty to pap them in front of branding boards and the like. 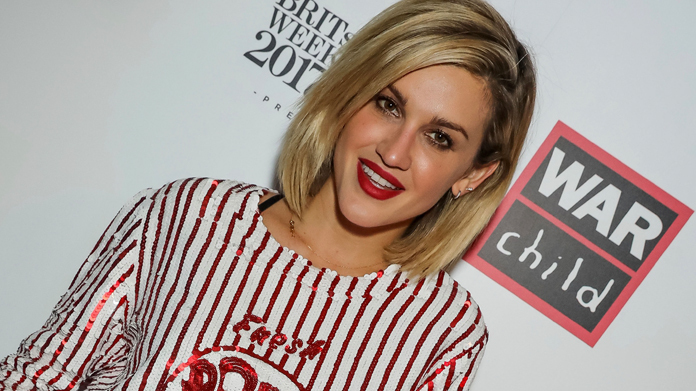 Ellie Goulding, Dougie Pointer, Ella Eyre, Danny Mac, Ashley Roberts and Caroline Flack turned up to name a few (16 to be exact). We sent the pictures out to our showbiz friends after the shows and secured coverage across a host of national and lifestyle titles including Mirror online, OK! online and Metro. We also asked famous faces to get involved with the social campaign, where we encouraged the public, journalists and celebrities to throw on their favourite band t-shirt to #WearItForWarChild on their social channels to raise awareness and encourage applications for the gigs. We secured 25 celebrity endorsements from the likes of Ellie Goulding, The Vamps, Ella Eyre, Vogue Williams, Laura Whitmore, with a total reach of 36.7 million. We even reached the fashion pack who were busy with London Fashion Week, securing posts from high profile fashion influencers including model Immy Waterhouse, global editorial fashion director of Porter magazine Gabriele Hackworthy and fashion director of Style.com Tasmin Sewell. Another brilliant year supporting the great work that War Child does for children affected by War while communicating the unmissable moments that O2 provides for music fans.